The U.S.-U.A.E. 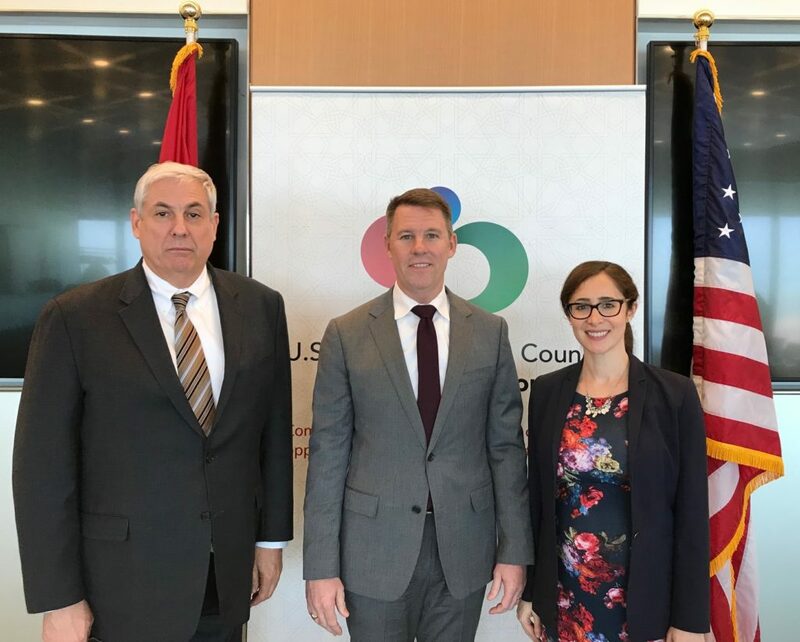 Business Council hosted the Deputy Assistant Secretary of Defense for the Middle East (DASD) Michael Mulroy for a roundtable discussion on the 3rd of April 2019 in Washington, D.C. The discussion provided senior executives from key U.S. defense and security members an opportunity to hear from Mr. Mulroy on the latest developments in the U.S.-U.A.E. defense relationship. During the roundtable, Mr. Mulroy discussed the importance of U.S.-U.A.E defense cooperation and how the U.S. views the U.A.E as a partner in preserving and maintaining stability in the Middle East region. Mr. Mulroy also engaged with business leaders about their priorities in the U.A.E and the Gulf region. U.S.-U.A.E. Business Council President Danny Sebright facilitated a discussion on key regional issues, including the fight against ISIS in Iraq and Syria, the conflict in Yemen, increasing cybersecurity threats, and the ongoing tensions in the Gulf regarding Iran’s aggressive behavior. This event builds on a previous discussion that the Business Council convened with DASD Mulroy in April 2018, soon after he assumed his current position. Defense and security cooperation between the U.S. and the U.A.E. first blossomed during the First Gulf War in 1990. An early ally during the war, the U.A.E. allowed American planes and ships to operate out of its territory. Since then, the U.A.E. has partnered with the U.S. in every major U.S.-led military coalition save for the 2003 invasion of Iraq. Indeed, the U.A.E. has joined with the U.S. in actions in Somalia, Bosnia-Kosovo, Afghanistan, Libya, and the campaign against the “Islamic State” (Daesh) in Syria and Iraq. Click here for the Business Council’s newly released report on the U.S.-U.A.E. Defense and Security Relationship.